The group's leader, Abubakar Shekau, said they would be held until all imprisoned militants had been freed. 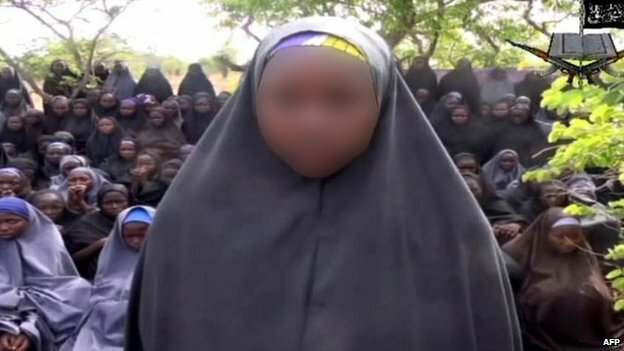 Boko Haram abducted more than 200 girls from northern Nigeria on 14 April and threatened to sell them. The BBC's John Simpson in the northern city of Maiduguri said Boko Haram's comments showed signs that the group was willing to negotiate. Three of the girls are shown speaking in the 17-minute video, obtained by French news agency AFP, wearing the full-length hijab. "These girls, these girls you occupy yourselves with... we have indeed liberated them. 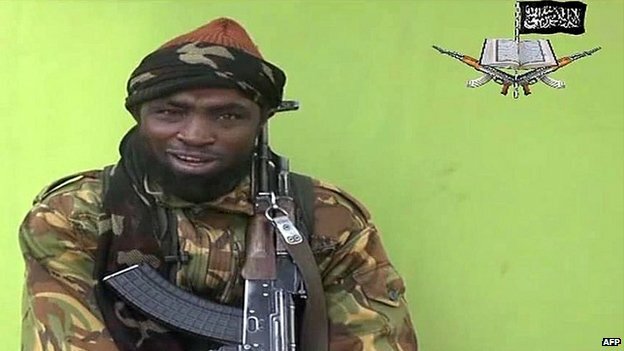 These girls have become Muslims," Abubakar Shekau says in the video. It is thought the majority of the abducuted girls are Christians, although there are a number of Muslims among them. There is no indication of when or where the video was taken. It is estimated to show about 130 girls - just under half of the 276 pupils abducted from their school in the northern state of Borno. Our correspondent says this could mean the group has been split into smaller groups to help avoid detection. The group, whose name means "Western education is forbidden," said they should not have been at school and should get married instead.